Day 6 of Zespri Kiwi Challenge, today's slogan is "I may be little, but I pack a punch". 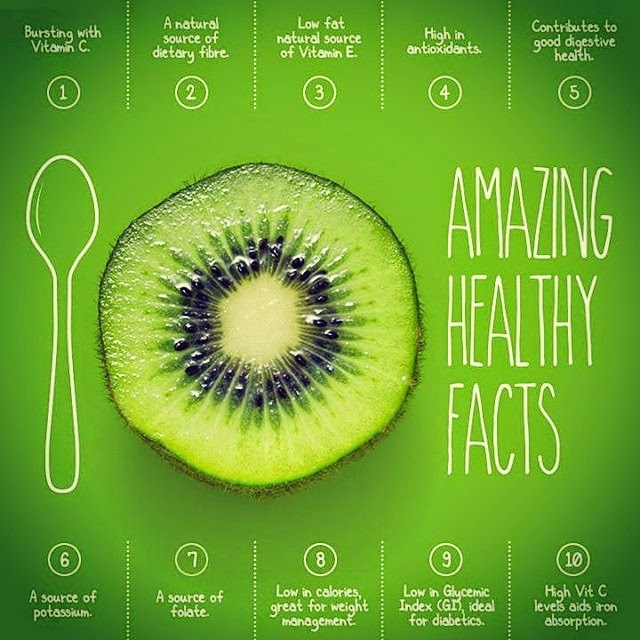 Learnt about a single Zespri Green Kiwifruit provides a boost of fiber like no other! One Zespri Kiwifruit has 2 times the fiber of pineapples. Oh gosh, out of sudden, I would like to use 2 of them together to have my fiber overload for today. Decided to make them into my favourite Mini Salad Jar. This is extremely easy to make. All the ingredients are served fresh, mix together with some greens, tomatoes and fruits. The most important secret sauce is my lemon kiwi juice with some olive and balsamic dressing. 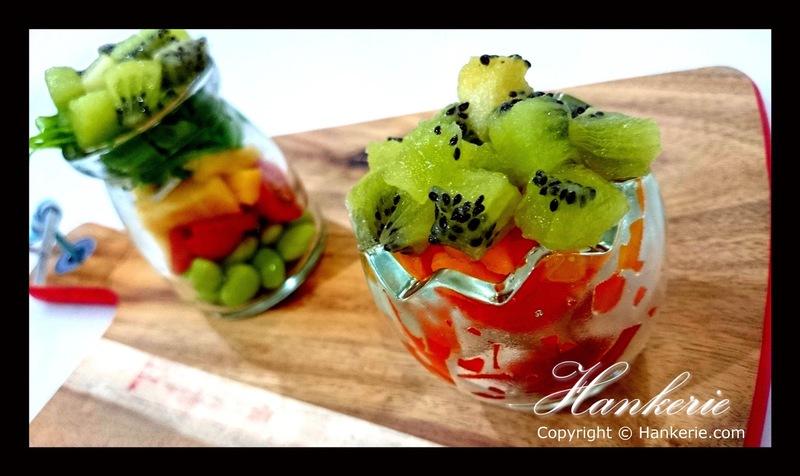 They are not only easy to bring, you can eat straight from the jar after some shaking or mixing using the spoon. This is what I normally do when packing for lunch. For the edamame beans, peel off the skin from the cover. 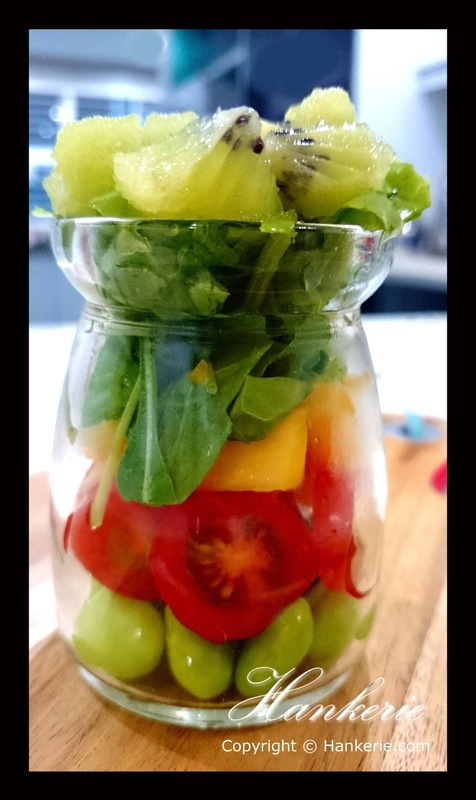 To make salad jar, start with your dressing mixing first and then put into the jar bottom. Then follow by edamame beans, tomatoes that wont make the whole salad soggy if this is not consume right away. Put in the pineapple, all greens, and green kiwi.